"Do what you love, and love what you do". This is the quote that everyone should live by and is a continuous motivation in everything we do at Common Threads. 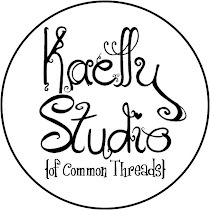 The sign on our building says Common Threads Quilt Shop and Design Studio, in the spirit of doing what we love we are excited to be making the "design studio" part of our name a reality. The economy and peoples immersion into the internet and technology has created a very different quilt shop for now and into the future. It is our desire to not fall into a "have to change" but a "want to change" mentality. Now don't think for a second that we are going out of business or leaving the quilt world - in fact, that is totally the opposite of what we are doing. We are offering a new and exciting quilting experience! We will also be open on days that we hold classes, these days will be marked on our calendar online and in our quarterly newsletter. We will offer the opportunity to have a private shopping adventures for retreaters, quilting groups, or a group of friends that want a special shopping experience. These will be based on availability and through reservations. In addition to your shopping experience will be the expansion of our online shop to include every piece of fabric, sample, kit, book, pattern, and notion that our retail shop carries. We know that many people love to "touch and fill" but remember our shop will be open. The online shop will allow you to shop at your leisure 24/7 if desired....even in your PJs. You may be a bit confused about this seemingly radical change, however we feel in our hearts that we are on the right track. As we stated in the beginning, the quilting world has changed and we want to continue to be on the cutting edge and stay relevant. We LOVE to share our passion of quilting with you and want to share it with the world not only through the internet, but by traveling. We will be taking our shop on the road to shows and guilds as a "quilt shop on wheels"....look for us in your town! 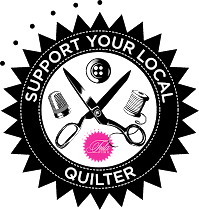 Our passion of quilting will extend into creating fun events to celebrate quilting and fabric crafts, encourage our dreams of pattern and fabric designing, and compliment our clubs and classes with innovative and exciting new ideas for you to become a part of. * Top quality quilting fabrics and supplies. * Computer guided machine quilting with literally thousands of patterns to choose from. * Best for last....What's New - our new version of Thrifty. By attending What's New you will be in the fore front of the latest and greatest that is on the market to excite you in quilt land. We will share techniques in demo form before and after each What's New presentation. You will have a hands-on idea of how the new products can work for you. We will be having drawings for those who attend and giving gift certificates to those who bring show-n-tell. In order to make these most wonderful things happen we need to clean up shop. There are going to be items we will no longer carry and they need new homes. These items will be on close-out at a 75% discount the weekend of January 12th -14th. This will enable us to set up for our new shop. We will continue to carry our favorite items including, but not limited to batiks, Civil War, cuddle, fresh new fabrics and MUCH MUCH MORE. It is important that all of our customers know what is going on so please keep up to date with our blog and website. We will email you the newsletter every quarter and let you know when the monthly chatter is posted, any other updates or blog posts are viewable at your own leisure. We are thrilled for our new adventure and thank all of you, our customers for your support. Wow! Big changes...will be fun to watch! Wishing you all the best! I am confused. How can a changes where your business is only available 10 days a month be good and exciting! One of the reasons we decided to make these changes is because we have the chance to design patterns and fabric and we need more time to explore these amazing opportunities. 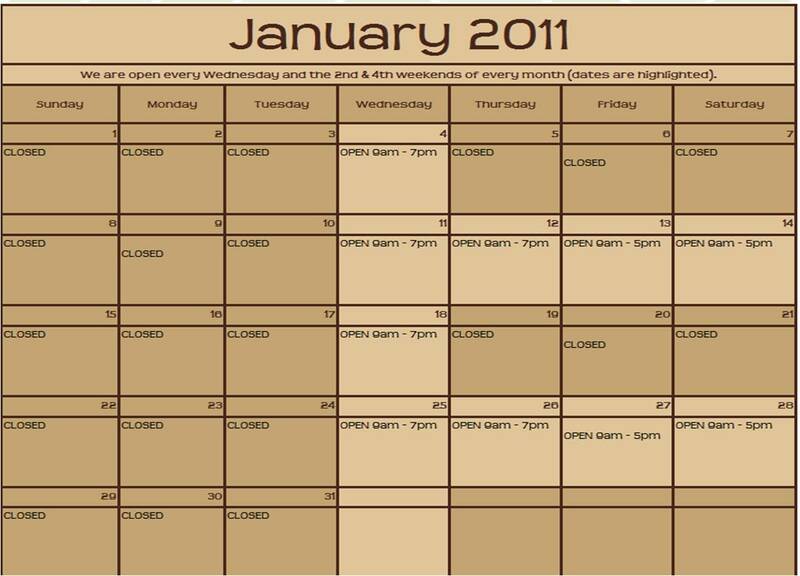 We also chose the days to be open based on when most of our customers come to see us which is on the days we have clubs and classes and when we have "Thrifty" or what will now be called "What's New". Our shop is one of many in the industry that is making changes like this. The retail shopping experience has changed so we fell we need to change as well. Our specialty shop will still thrive and be better than ever. Wow...having the chance to design fabric really feels like an exciting adventure! Good for you as there are others out there who do it and do it well. Two of my favorite fabric designers are Amy Butler and Heather Bailey. Can't wait to see your fabric lines right up there with the other big names. I feel your venture into this will be just a grand.